By default you have all the copy machines in your home building, but what if you work in multiple buildings? Go to another building for PD and need to print? 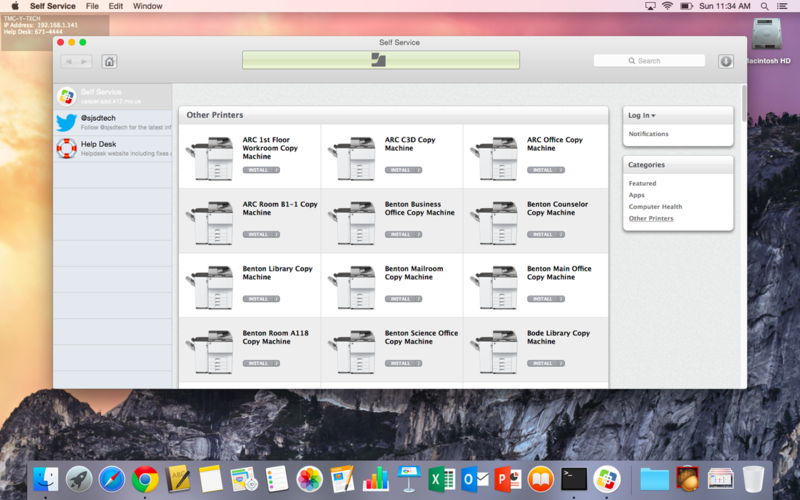 You can add any copy machine in the district by using the 'Other Printers' section in Self Service. 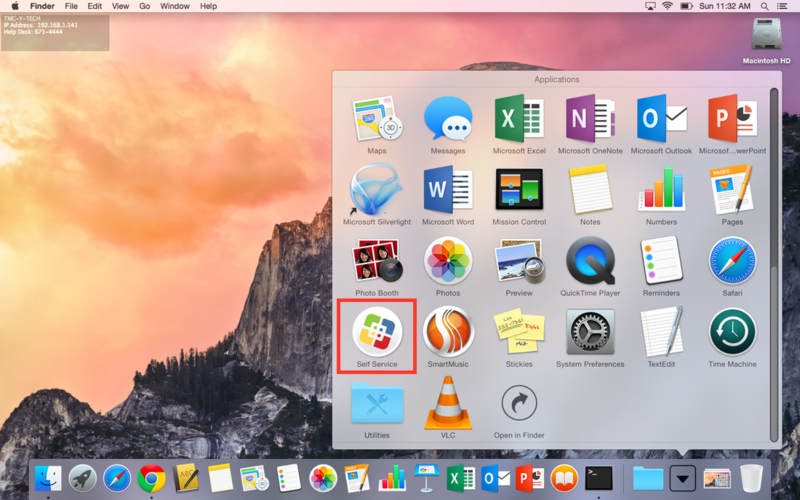 It is a white icon with a green, blue, yellow and red logo. Once you launch Self Service you'll see a screen similar to this. To add more copy machines to your computer click the 'Other Printers' category located on the right side. 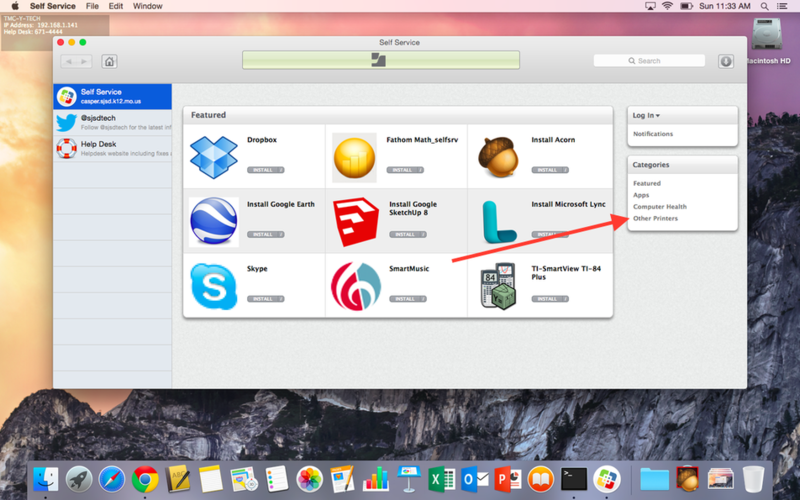 You may also use the search bar and type in the name of the school of where you'd like to add copy machines. 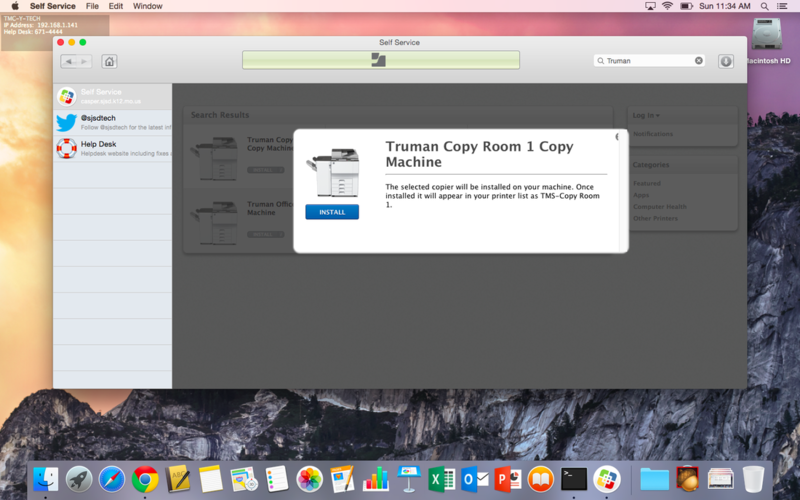 Once you click install you'll see this screen explaining you're installing this copy machine and how it will appear in your printer list. If you have issues locating or opening 'Self Service' please contact the HelpDesk at 671-4444.